Seaweed shampoo by Bumble and bumble is one of the company’s top sellers. Perfect or frequent shampooers, the seaweed shampoo is made with spirulina maxima extract, sea kelp extract, and ascophyllum nudosum extract. Spirulina is known for its hydrating properties while ascophyllum nudosum extract adds softness, body, and luster. This ingredient is also popular for its moisturizing properties. Sea kelp, the shampoos key ingredient, adds shine and manageability. The seaweed shampoo also contains ascorbic acid, which protects the hair. To enhance the effects of the seaweed shampoo by Bumble and bumble, try the seaweed conditioner. The conditioner is lightweight, so it’s perfect for every day use. 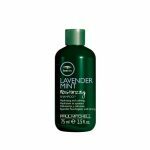 The conditioner contains marine greens that nourish and soften the hair. The formula also helps deal with the challenges that come with managing freshly-washed hair. 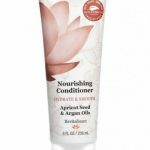 While the conditioner is excellent for most hair types, it may not work well with dry, coarse hair. To purchase the seaweed shampoo and conditioner combo, or any other Bumble and bumble products, you can shop online at www.bumbleandbumble.com or you can use the websites salon locator to find a retailer or salon near you. One of the world’s most popular hairstyling product lines also happens to be vegetarian friendly! Bumble and bumble has been on the hair care scene for 31 years and counting. In addition to “The House of Bumble and bumble” this trendy company also has several Manhattan salons, and Bb.Network salons around the world in places such as Paris, Hong Kong, and even Iceland! The Bumble and bumble mission goes something like this: “Our mission is to be the best hair care company in the world through a continuous process of examination and re-invention; to inspire creativity in everyone we touch by offering advanced education in all aspects of the salon business, building lasting relationships within our community and creating exceptional products; to have a great time doing it all.” Pretty impressive huh? What’s even more impressive is The House of Bumble and bumble was selected to host New York fashion week in 2006. 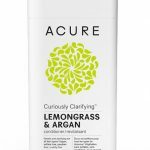 Bumble and bumble sells products for every hair type – whether you have curly hair or straight, thick or fine, Bumble and bumble has a product to suit you. 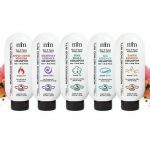 The company offers a wide variety of lines ranging from the thickening family (for thinner hair) to hair products designed specifically for naturally thick (and unruly) hair. One example is the crème de coco shampoo and conditioner. 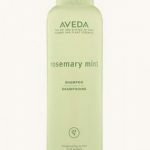 When used together, this shampoo/conditioner team tames frizz and improves flexibility. The product contains ingredients like coconut, murumuru butter (palm tree butter), milk thistle, and wheat protein to help cleanse and condition hair, naturally.